With the Season Opening at the Leningrad Theater in Saint Petersburg on January 25th, 2019, the second part of the Exhibition “TIMELESS” has opened its doors, featuring nine images of my new “Performing Arts” Series, which was taken in November 2018, with the kind collaboration of the Leningrad Center and its incredible and beautiful actors, artists and singers and with the friendly and great support of Art Director Felix Mikhaylov. On January, 25th, 2019, The Leningrad Center opens the second part of the Exhibition “Timeless”. The central hall of the Gallery will feature works by artists and photographers who, in partnership with Felix Mikhailov, were able to create an amazing collage of images and characters. Among the artists represented at the exhibition will be Pit Buehler, who is not the first time working with artists of the theater. His photographs depicting the characters of the artists could be seen at the exhibition in Switzerland at the end of 2018. For the TIMELESSexhibition, Pit presented photographs created for the Lovesick and Timeless shows. The atmospheric photo project of Kevin Ohana, a Parisian photographer working with VOGUE, L’OFFICIEL, HARPER’S BAZAAR, and now Leningrad Center, talks about searching for inspiration during the creation of the premiere of the Timeless show. Sketches of a long-time ally and outstanding artist Ivan Skladchikov more than once came to life in productions on the stage of show-space. At the exhibition “Beyond Time. Continued ”exhibits three sketches that gave a wonderful mood to fairy tales staged in“ Porcelain Happiness ”. Sketches of Lady in blue, “Lady of the Stars”, “Emperor” seemed to have disappeared from the pages of the books of Hoffmann and Andersen, and are shrouded in mystery and magic. В центральном зале «Галереи» будут представлены работы художников и фотографов, которые в партнерстве с Феликсом Михайловым смогли создать удивительный коллаж образов и характеров.Среди представленных на выставке мастеров будет Пит Бюллер, уже не первый раз работающий с артистами театра. Его фотографии, запечатлевшие характеры артистов, можно было увидеть на выставке в Швейцарии в конце 2018 года. Для выставки «Вне времени» Пит представил фотоработы, созданные для шоу Lovesick и Timeless.Атмосферный фотопроект Кевина Оханы – парижского фотографа, работающего с VOGUE, L’OFFICIEL, HARPER’S BAZAAR, а теперь и «Ленинград Центром», расскажет о поисках вдохновения в период создания премьеры шоу Timeless.Эскизы давнего соратника и выдающегося художника Ивана Складчикова не раз оживали в постановках на сцене шоу-пространства. На выставке «Вне времени. Продолжение» экспонируются три эскиза, подарившие удивительное настроение сказки в постановке «Фарфоровое счастье». Эскизы Lady in blue, «Повелительница звезд», «Император» словно сошли со страниц книг Гофмана и Андерсена и окутаны загадкой и волшебством. 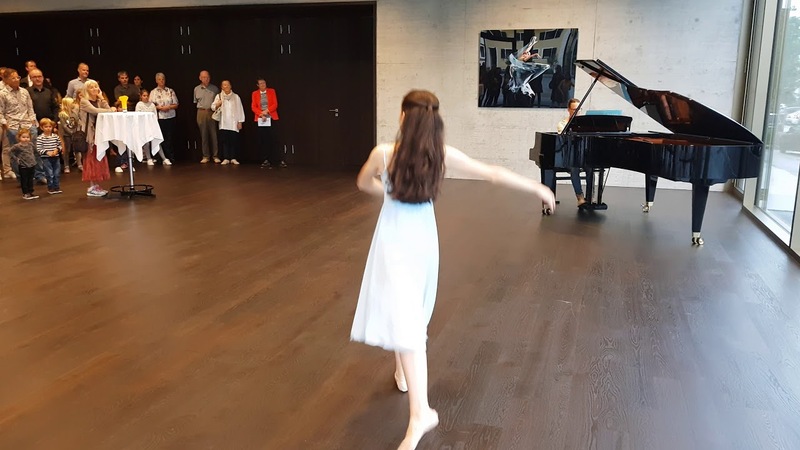 Einladung zur Dernière der Fotoausstellung «Ballet Perfection» und Neujahrsapéro Freitag, 4. Januar 2019, 18.00 Uhr, Foyer Gemeindesaal. im Foyer und 1. OG des Gemeindesaals. Doch nicht mehr lange. Deshalb laden kultur steinhausen und die Gemeinde zum Abschluss dieser Ausstellung zum persönlichen Gespräch und zur Führung mit dem Fotografen ein. Nutzen Sie diese einmalige Gelegenheit und erfahren Sie mehr über den Steinhauser Pit Buehler, über seine aussergewöhnliche Serie «Ballet Perfection» und seine Begegnungen, Orte und Erlebnisse hinter den Bildern. Und stossen Sie mit uns an auf das neue Jahr: ohne Voranmeldung, kostenlos und ohne offizielle Reden. Noch bis Ende Dezember 2018 sind die zehn grossformatigen Bilder werktags von 09.00 bis 17.00 Uhr im Foyer und im 1. OG des Gemeindesaals zu sehen (freier Eintritt).